Last Saturday architects, engineers, and designers of various stripes from our churchgathered together to participate in acharrette. For most architects this is common parlance for any collaborative session in which a group of designers work intensively on creating a solution to a problem. (The term originated with french architectural students in the 19th century). The goal is to create a useable product in a limited amount of time with available resources. In this instance it was a gathering to both brainstorm and design a solution to the rustic folding table we have been using for the Lord’s Supper for the past couple of years. Our church is currently involved in a worship renewal grant program with the Calvin Institute of Christian Worship focused on teaching and renewing our practice of the Lord’s Supper. We met first thing on Saturday morning and after fueling up with some great food and coffee I laid out a brief overview of biblical and historical concerns that would feed into the day. The Lord’s Supper has expressed itself in various architectural manifestations throughout history. We took a tour of a brief cross-section. The roman lounging table . How it is believed Jesus took the last supper. 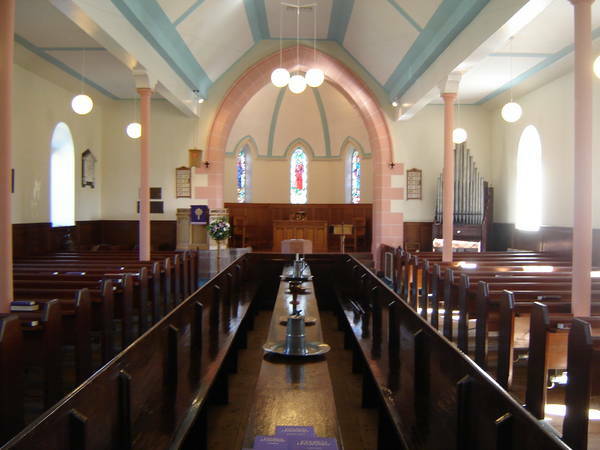 – The ‘high alter’ and communion rails (the people separated from the meal. Movement from meal to sacrifice) – Davinciʼs ‘Last Supper’ another example of an inaccurate, if not iconic, visual portrayal. The meal returned to the people. A large thin table is built in the central aisle where the church literally sits together and eats the bread and wine. Home as a little church. How most of us visually recognize the Lord’s Supper today. The Table, more or less, resembles the size, height, shape of the dining table. 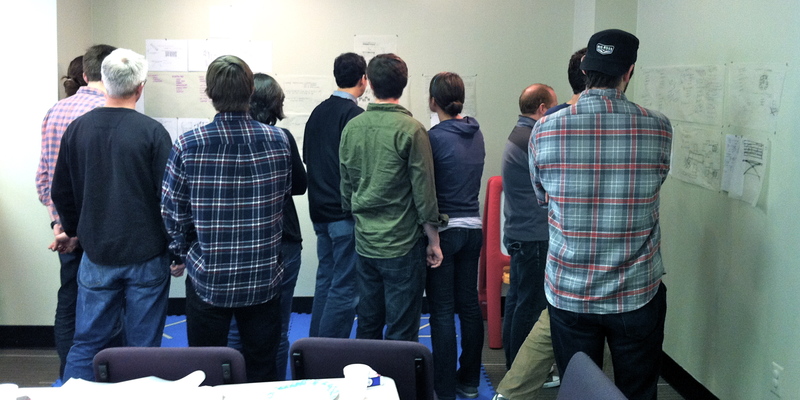 From 9am-noon we had four groups of three begin the brainstorm process. They wrote down themes, explored their own understandings of the Lord’s Supper, suggested shapes and structures that were evocative and tried to let their imaginations run wild. Then after lunch everyone gathered back together to get a bird’s eye view of the mornings work. Each team took turns talking about their thoughts/initial designs. One architect took notes of similar themes and repeated design elements. From here a smaller team will fashion the final design. Then we will hand off that design to our engineer/builders who will construct the table. 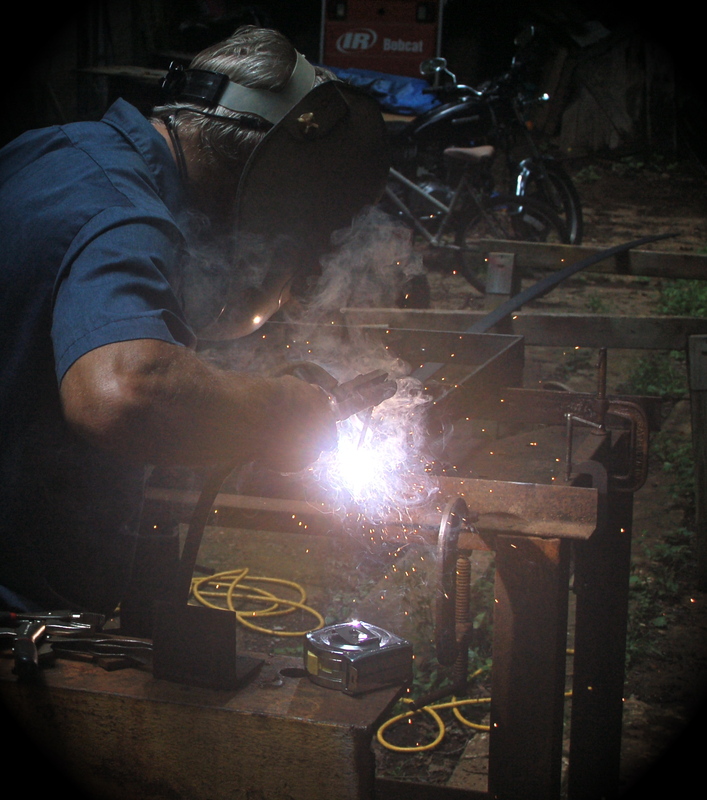 We’re very excited that a father of one of our college students is a blacksmith. Here is a pic of him welding our legs. Our fiber artists will then create a number of pieces to attach to the front of the table for each church season. The table will hopefully be finished during the summer. 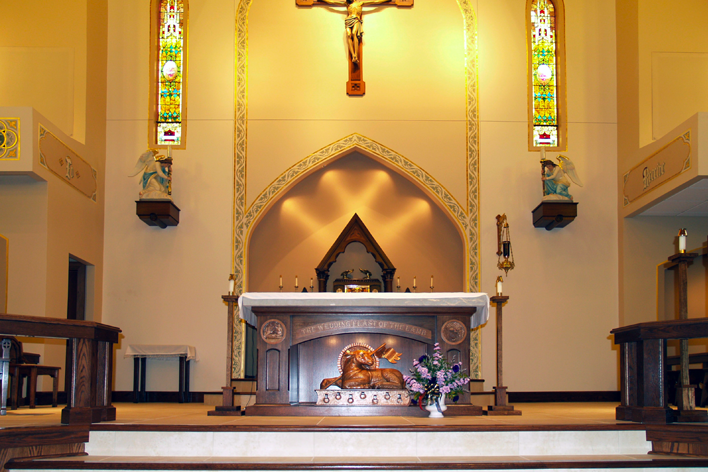 Our church has an incredible wealth of talented designers and architects. 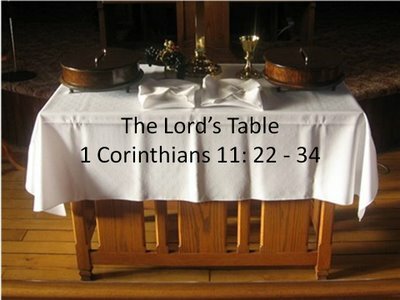 Since we’ve been using a glorified folding table as our Lord’s Supper Table for the past few years this grant was a grand impetus to gather and talk about the process of creating a new table to use. 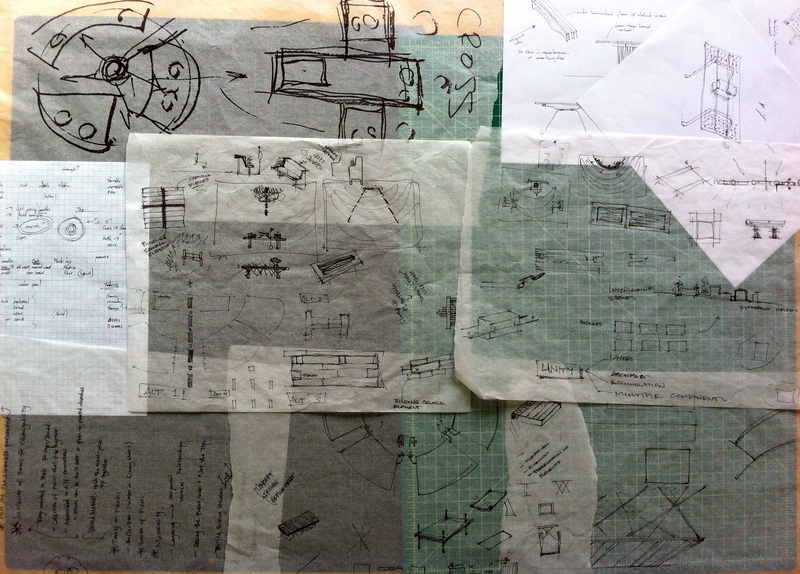 We decided to begin the process through an experience familiar to most architects called acharrette. A Charrette is common parlance for any collaborative session in which a group of designers work intensively on creating a solution to a problem. (The term originated with french architectural students in the 19th century). The goal is to create a useable product in a limited amount of time with available resources. Full post on the event here. You can also read a write up on the project I did for the Church+Art network. 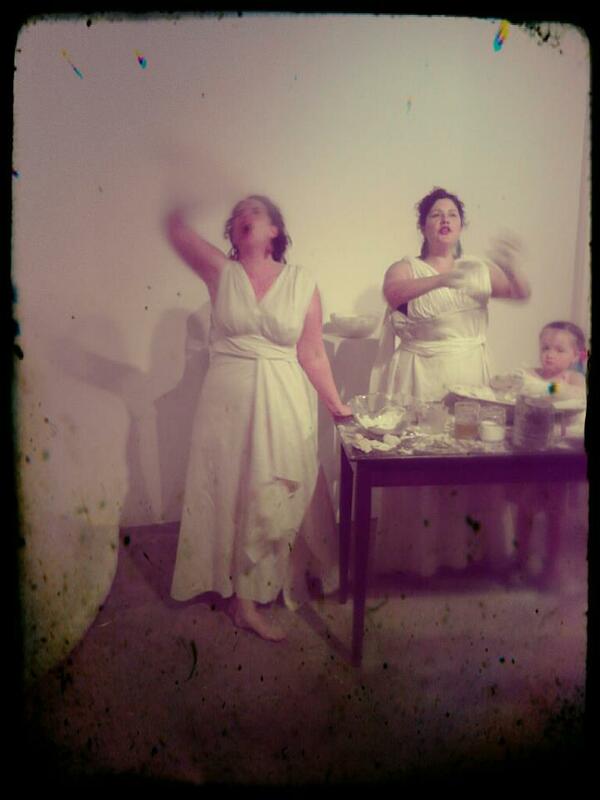 After one-night-only performance baking the visual art remained on exhibit through the month of May. “Back to the Beginning” (Artists’ Statement): The Bread Show is an art show involving installation, performance, sculpture, paintings and BAKING exploring the place of bread in the world. Seeking to engage all the senses in an exploration of the most important food in the world. A little more: I [Paul] sensed there was something interesting to be said about bread. Gathering artists of every available stripe we broke bread together and then we talked about it. There is A LOT to talk about when it comes to bread, given enough time, and possibly wine, you could talk about bread forever. It is integral in the development in the world. Every culture has their own bread. It is important in every way: philosophically, spiritually, historically, economically, culturally. 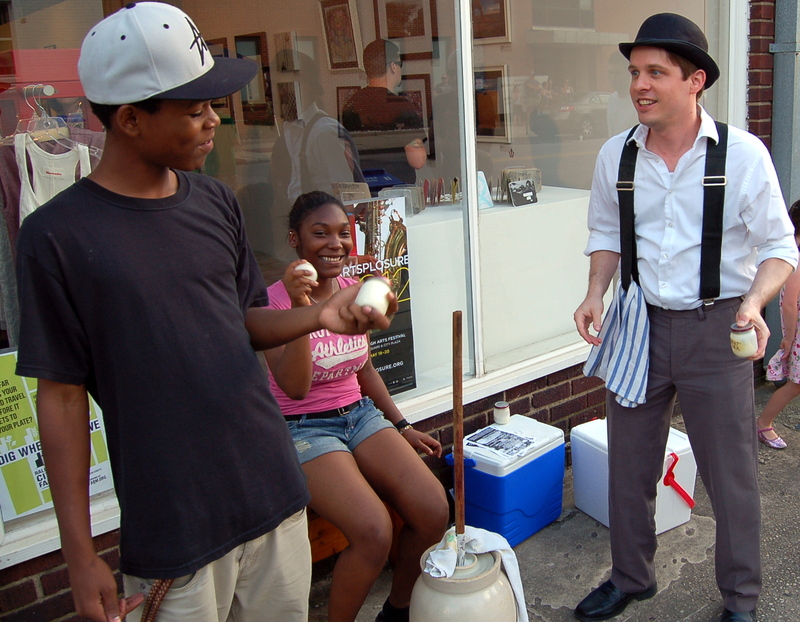 Come join us as we bake, eat (and churn butter) May First Friday at VAE. We want people to talk about Bread. Happily it is a fun and often delicious conversation. Last year a few leaders in our church got together to dream up a project to both direct and inspire worship renewal in our weekly celebration of the Lord’s Supper. We were reading through the resurrection accounts in Luke and arrived at this unnerving passage where Jesus is walking with a few of his disciples who don’t recognize him. What?! In fact it wasn’t until he broke bread with them that their eyes were opened. In this moment the disciples experienced the kingdom of God revealed in this resurrected King. As Jesus spoke to this small group of disciples he opened the scriptures and taught about himself from the books of Moses, the prophets, and the psalms (Luke 24). We wondered…what verses, passages, stories did Jesus pick to speak of himself? From here we worked on a year long plan where each Sunday, in the context of the Lord’s Supper, we would read a passage of scripture moving from Genesis to Revelation – culminating in a shared meal during Holy Week. 1. 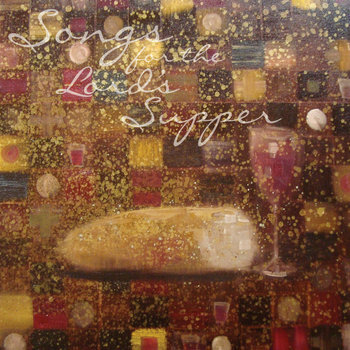 To enrich, deepen, expand our remembering (anamesis) of Jesus in our weekly celebration of the Lord’s Supper both corporately and individually. 2. To improve our skills both in presenting and hearing scripture. 3. To engage our church in a continuing education/experience of the work of our Triune God in the liturgical act of the Lord’s Supper. *Anamnesis – (from the Greek word ἀνάμνησιν meaning memory), refers to the memorial character of the Lord’s Supper where we are called to ‘remember’ the Passion, Resurrection and Ascension of Christ. 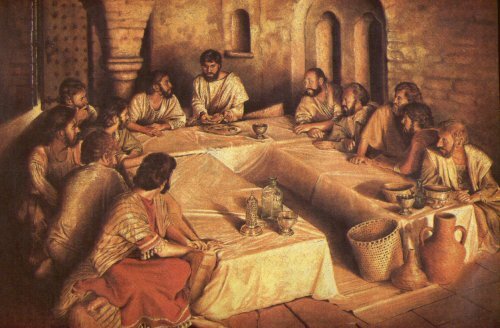 It has its origin in Jesus’ words at the Last Supper, “Do this in memory of me” (Ancient Greek: “τοῦτο ποιεῖτε εἰς τὴν ἐμὴν ἀνάμνησιν”, (Luke 22:19, 1 Corinthians 11:24-25).